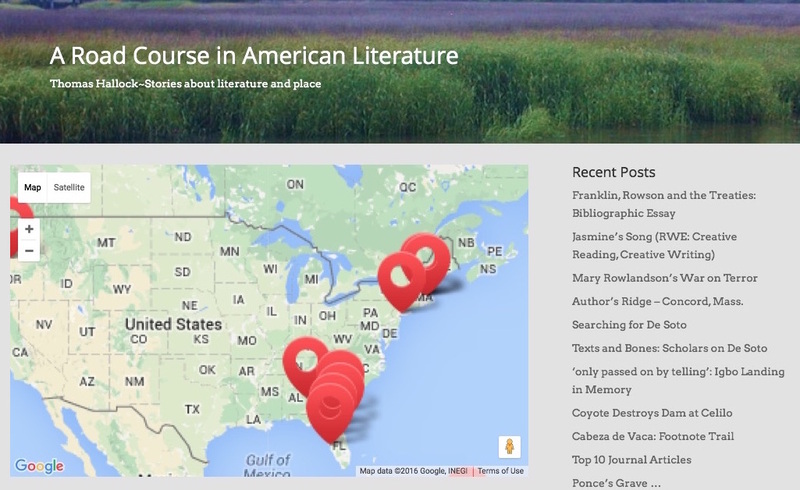 A Road Course in American Literature is a companion site to go with the book of the same name. The author is Associate Professor of English at the University of South Florida St. Petersburg Thomas Hallock. 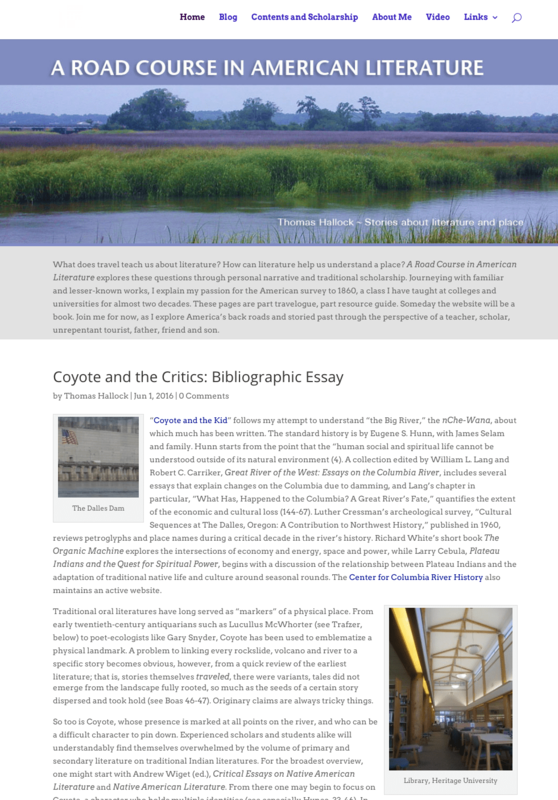 We designed this site to accommodate videos and audio files that Dr. Hallock includes in many of this blog post. There is also an interactive North American locator map with marker pins corresponding to each post.